A telecommunications tower in the centre of Moncton has become almost useless, standing alone in the middle of this otherwise flat city. A looping image of this landmark gradually decays until it is replaced completely with abstraction. Opting for the repurposing of technology instead of declaring its obsolescence, modified VHS decks and a simple handmade DIY video switcher were used to create this work. “Toward the insignificant” was the oblique strategy card that inspired this VHS collaboration. Beginning with representational images of a local landmark, the image gradually decays until it is replaced completely with abstraction. Two VHS decks were joined together and plugged into one side of a handmade DIY video mixer, while the other input of the mixer was connected to a VHS camera running a feedback loop. 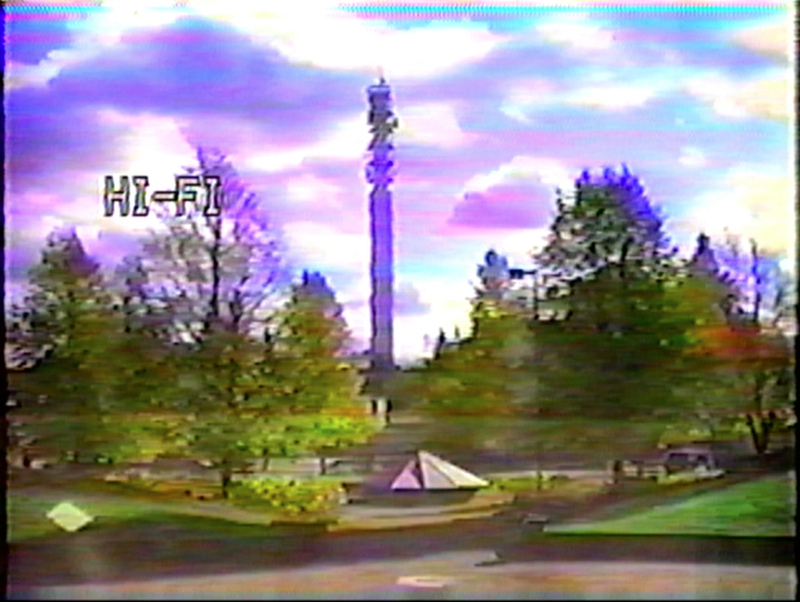 The starting image running on the loop was a static image of a telecommunications tower in the centre of Moncton which in recent years, has become almost useless, standing alone in the middle of this otherwise flat city. Using the home made video switcher, we switched between the inputs of the looping image and the raw feedback until the tower disappeared entirely into the abstract non representational imagery of the feedback. Just as the image was built by performing with analogue VHS decks, the sound track was made using analogue synthesizers.